Air pollution is a mixture of natural and man-made substances in the air we breathe. It is typically separated into two categories: outdoor air pollution and indoor air pollution. 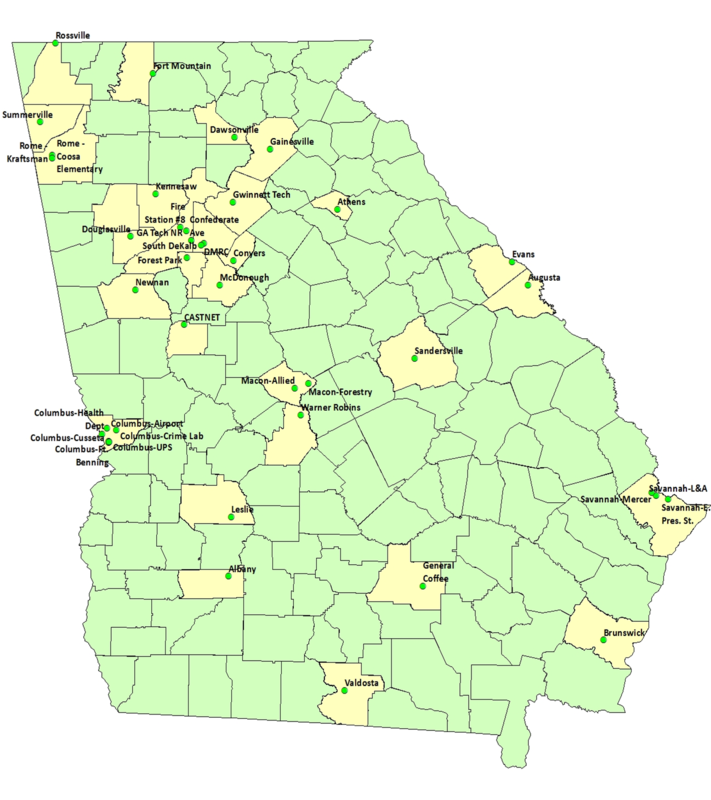 We regulate outdoor or ambient air quality and have been monitoring ambient air quality in Georgia for more than forty years. During that time, the list of monitored compounds has grown to more than 200 pollutants at approximately 39 sites in 30 counties across the state. Learn more. Secondary standards that protect public welfare and environment (includes damage to animals, crops, vegetation, buildings, and reduced visibility). More information about the six criteria air pollutants is available below. Of the six criteria pollutants, ground-level ozone is currently the only pollutant in Georgia not meeting the NAAQS. Learn about Georgia pollution trends. Hazardous air pollutants (HAPs) or air toxics are known to cause cancer or other serious health impacts. There are 187 toxics air pollutants defined by the U.S. Environmental Protection Agency (EPA). The US EPA collects information about hazardous pollutants released in the environment in a national database called the Toxic Release Inventory (TRI). For more information visit TRI for communities.